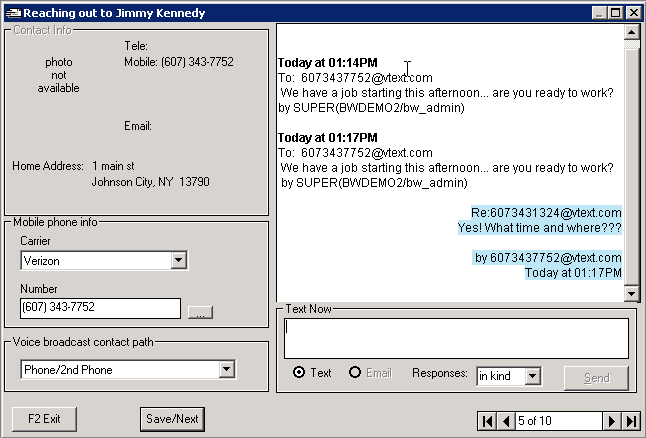 Our ReachOut – Text Message and Emailing features lets you instantly send Text Messages and/or Emails to your employees! 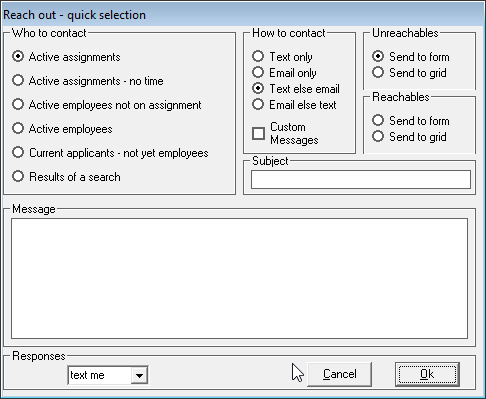 Do you ever need to contact all of your employees that are currently missing time cards… all at the push of a button? Have a message to get out to all employees working at a certain job? 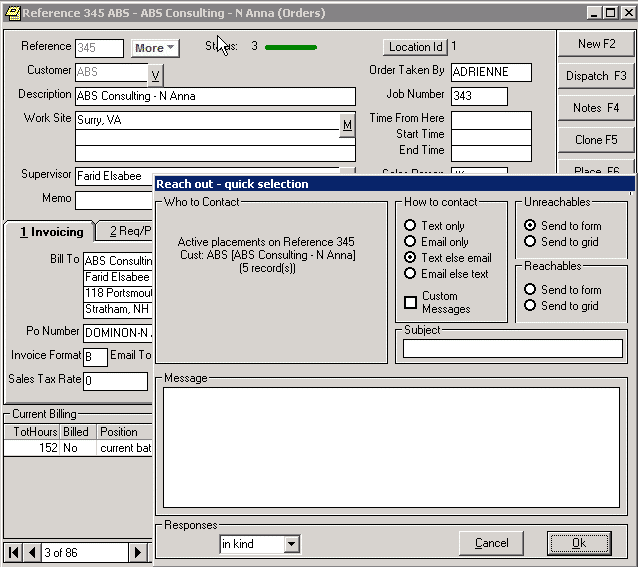 Go to the Job Order screen and simply press — Ctrl-R! This will contact all active placements assigned to the order! These are just some of the core functions of our “ReachOut” feature!Contact us today to find out other ways to stay in touch and “ReachOut” to your employees!